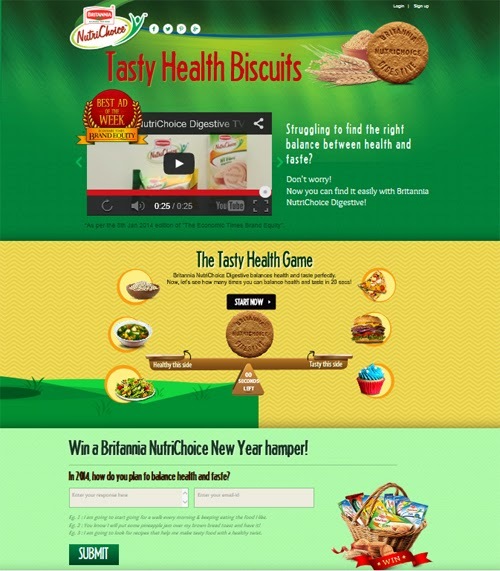 Britannia executed an interactive rich media masthead on YouTube a fortnight back, to promote its new campaign ‘Halfway to Health’ for NutriChoice high fibre biscuits. The objective was to position NutriChoice digestive biscuits as a snack with the right balance of health and taste. Britannia's long running ihealthu.com web interface promotes the NutriChoice range and endorses the cause of healthy snacking. For this promo, a webpage was created on the ihealthu platform which brought together the TV commercial, the simple balance game that was also used on the banner and quick facts about the snack. Visitors can also win NutriChoice New Year hampers by leaving their message on the site on how they plan to balance taste and health in the New Year.